Today I am bringing you another family friendly waterfall hike! Well, sort of a hike. More of a stroll. The weather was really rainy this past weekend and snow was expected up in the mountains so we didn’t want to get caught on a longer trail with our baby boy. The trail to Hidden Falls is perfect because in 15 minutes you can be out and back. These falls are stunning. Even though the hike is short, I was not disappointed in the least. They are tucked back in a cove right off of the road. I couldn’t believe it! I have driven along that road so many times without knowing about the beautiful waterfall tucked backed in there. This is the perfect activity for your family, especially if you have very small children and just want to get out into nature without too much hassle. Nowhere in any information I had for this hike did it say that you would have to walk in the creek. I don’t know if it was just the time of year and the falls were gushing with water or what, but we had to walk in ice-cold water to get to the actual trail. So….be prepared. It is just a few steps, but for us it was unavoidable. It would be easy to carry someone across though because it is a very short distance. From the parking area, you will head north on the trail and cross the street. From there, you will see a log bridge over the creek on your left and some stairs for the Mill B North trail on your right. Neither of these is the trail. The trail follows the right side of the creek, so the trail is basically straight (through the water) and around a big rock to the dirt. 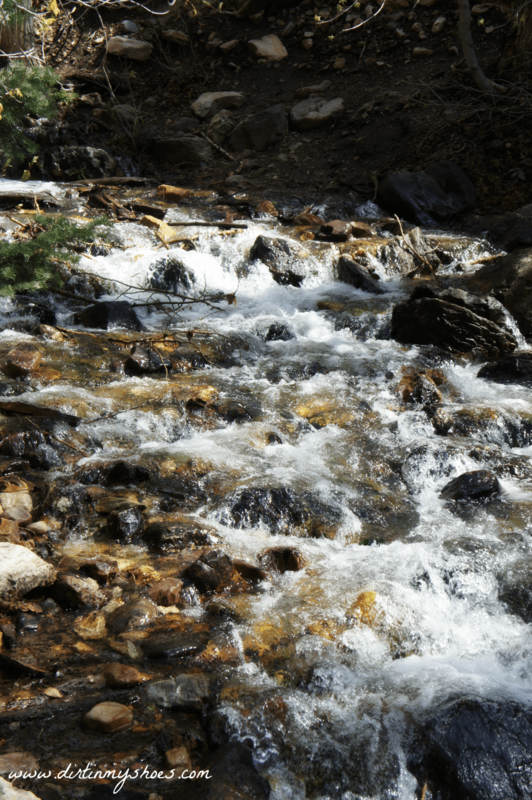 Big Cottonwood Canyon is a watershed for Salt Lake City, so dogs are not allowed. The parking area is extremely busy in the summer so I suggest hitting the trail as early as possible to avoid the crowds. This trail is 0.3 miles round trip. From Salt Lake City, take I-215 east and exit at 6200 South toward the ski resorts, exit 6 (don’t use the Exit Only lane). Take a right onto Wasatch Boulevard and travel south until you reach Fort Union Boulevard (7200 South). You will see signs for the Brighton and Solitude Ski Resorts, as well as Big Cottonwood Canyon. Take a left into the canyon and travel east for approximately 4 miles until you reach the Mill B Trailhead. This area is more commonly known as the “S-Curve”. The trailhead has two parking areas. You will want to park in the Upper Lot (North) if you can. Otherwise, you can park in the Lower Lot (South) or along the road and walk up to the Upper Lot. The trail begins from the Upper Lot. One Parking Area, Three Waterfalls! 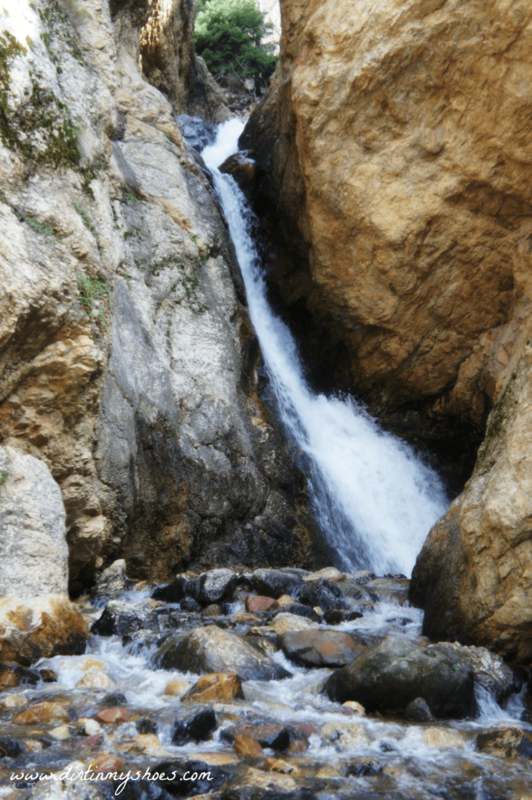 Because the Hidden Falls Trail is so short, you may want to add on a few more waterfalls to your trip. The best part is, you don’t even have to move your car or hike very far. Two more waterfalls are located along the Mill B South paved trail. To start the trail, head down to the Lower Lot (South) of the “S-Curve” and start on the paved trail at the far east side of the lot. 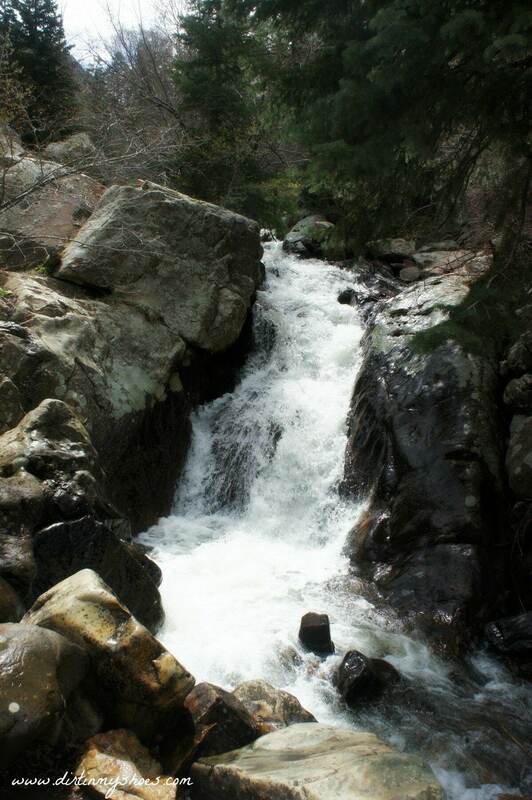 Along the paved trail, you will pass one waterfall near the beginning of the Lake Blanche Trail. When you reach the end of the pavement, continue on the dirt for a few minutes to get to the second waterfall. 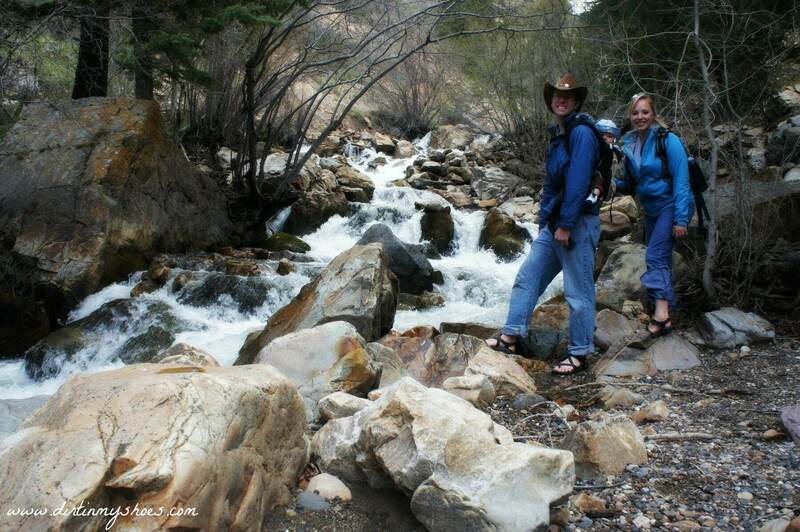 Where is Your Favorite Waterfall Hike?